Being invited to write about Titos Pelembe’s artwork in his first solo show “Trilho dos Sonhos” is a challenge when you live outside the country, and are unable to experience the artwork firsthand. 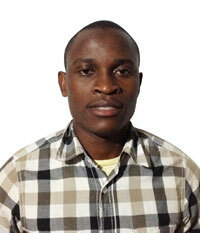 It is however, indisputable that Pelembe is a talented young artist with a flair for expressing himself through clay. 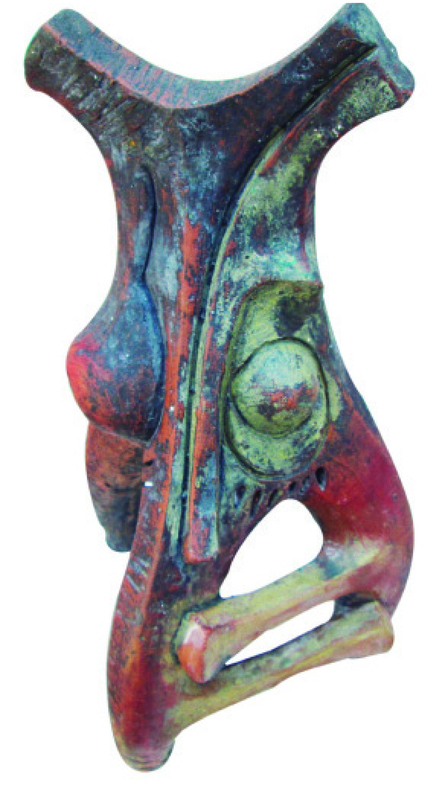 This is evidenced through his unique sculpture, which on occasion incorporates found materials, wood and metal. In order to gain a better appreciation of his art form, it is imperative to locate his work within the broader context of contemporary Mozambican arts and culture. 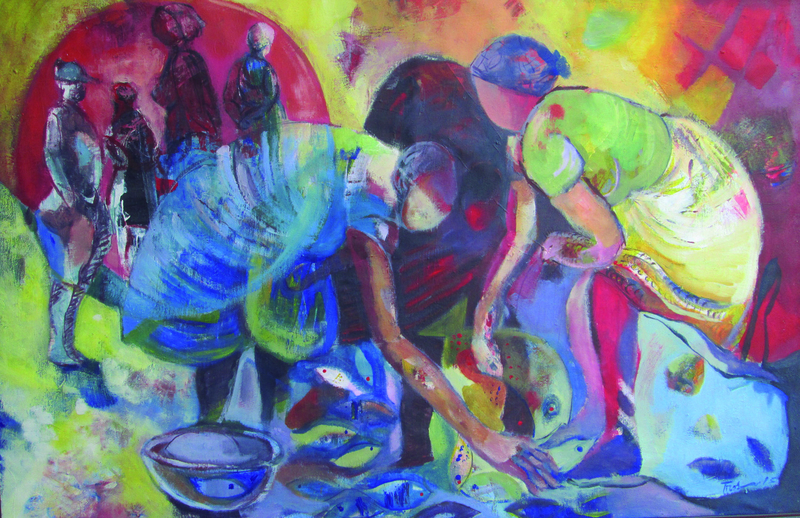 Mozambique had two very vibrant periods; one after national independence, where the majority of artists were self-taught and another after the creation of the National School of Visual Arts in 1983. 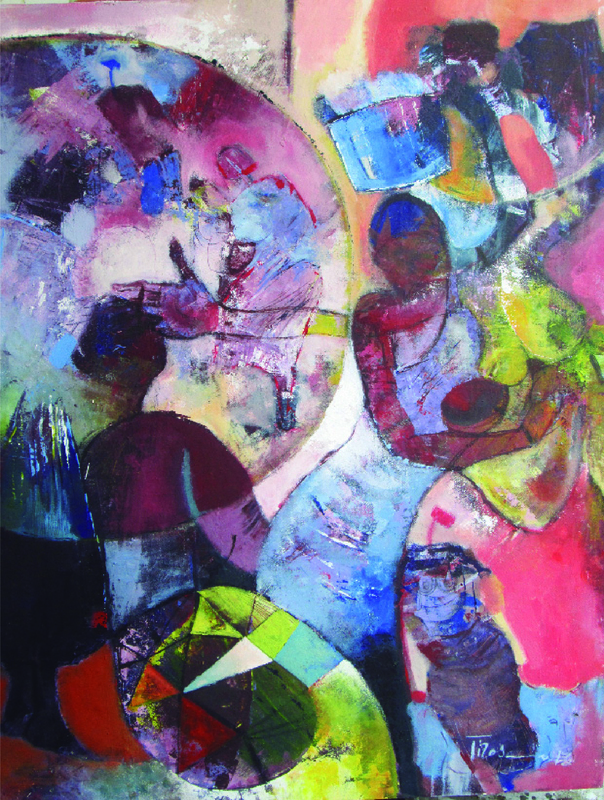 Pelembe belongs to the second period, which largely consists of the new generation of visual artists who received art training through the National Visual Arts School, in Maputo. This group has contributed significantly to the growth of contemporary Mozambican art by injecting new forms of expression. These young artists from Pelembe’s generation are experimenting with clay on a monumental scale. They include Lourenco Abner “Tsenane”, Nelson Joao Muianga “Muingane”, Celestino Bento Mondlane “Mudaulane”, Titos Pelembe and others. 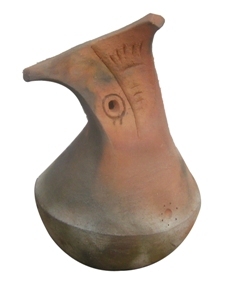 Clay is a medium that is readily available and inexpensive in Mozambique, but it has mainly been used to express the traditional aesthetic. Pelembe is amongst artists who have started to push the boundaries by manipulating and modelling clay in an innovative and interesting way. 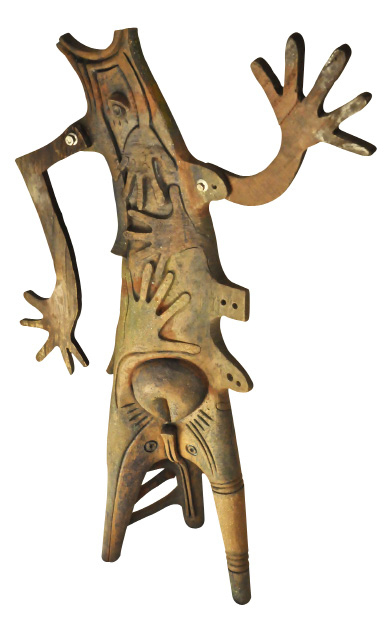 He transcends the craft label often attributed to African ceramics, by melding or combining his distinctive craftsmanship of the medium with artistic, multi-layered expression informed by the Mozambican cultural and artistic milieu. His eloquent use of line and form imbues his art with a contemporary aesthetic that is simultaneously Mozambican yet global. 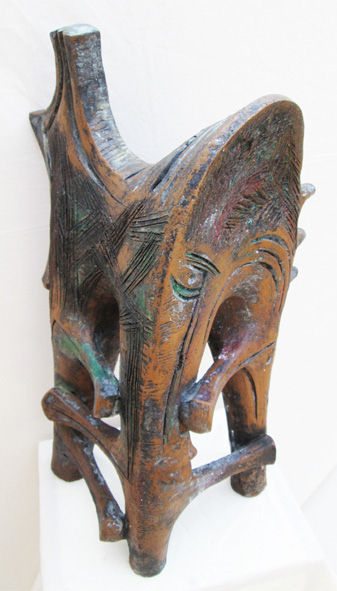 The element of intricacy found in Makonde sculpture is present in his artworks. The richness of Pelembe’s works is expressed through the symbolism of clay’s earthiness and fragility, as well as strength, attained through firing. These are also characteristics that are reflected in our humanity and history. His sculptures also seem to make reference to our multi-faceted nature and idiosyncrasies as human beings – qualities that shape our personality, in the same way that each of his pieces has its own character. Such reference is made through three-dimensional forms, irregular and organic shapes where lines play a dual role as both contour and surface element. The attached pieces of wood of varying length and sizes, found objects or recycled materials lend dynamism to the expressive artworks. Pelembe’s emotions, feelings and ideas are diverse and boundless. They come from everywhere, as Pablo Picasso said: The artist is a receptacle for emotions that come from all over the place: from the sky, from the earth, from a scrap of paper, from a passing shape, from a spider’s web. He is a very active practitioner who works hard to transform his dreams into the type of art presented in this exhibition. The artworks are well balanced, well composed and well executed, thereby conveying the strong messages that he wants to share with art lovers, art collectors and the community. Proof of Pelembe’s versatility as an artist is the awards he has received over the years. In 2013, 2011 and 2009 he won prizes for sculpture and painting respectively, in the TDM Biennale. In 2008 he got two ceramic art prizes – one from FUNDAC and the other Expo Musart. 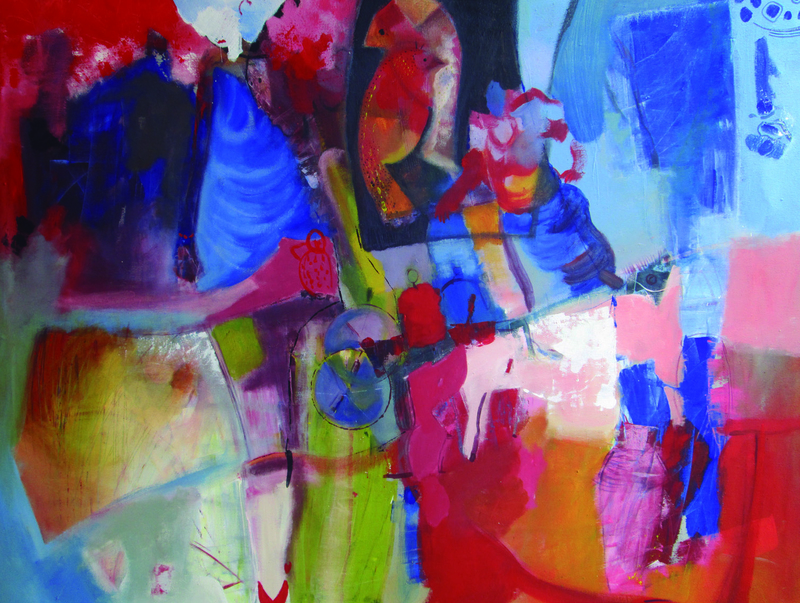 In 2007 he received a prize for sculpture and ceramics as well as a special mention for painting. He has also explored comics, and received an award from the Instituto Camões in the same year. As a multi-disciplinary artist, Pelembe’s potential and talent is evident in his ceramic sculptures, which demonstrate an understanding of form and space. His masterful use of line is evident in artworks like Sculpture, 2013, an art installation, which consists of a combination of various materials, namely clay, wood, metal and recycled paper; Turbelencia da crise Economico Mundial, 2009; Disturbio mental, 2008; Gestos de fraternizacao, series, 2011 and the monumental sculpture Sasol, grafico de crescimento, 2012. He also uses various materials such as cement, stones, metal and in some instances adds paint. The mural O encanto da natureza is a wonderful exploration of mosaic and an interesting foray into public art. 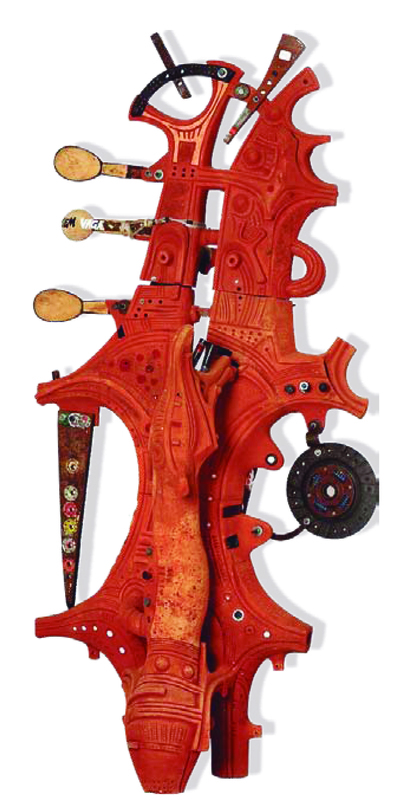 In other media such as painting, drawing and watercolour, Titos Pelembe needs to spend more time experimenting in order to give us work that is on par with his ceramic sculptures, in terms of skill and quality. 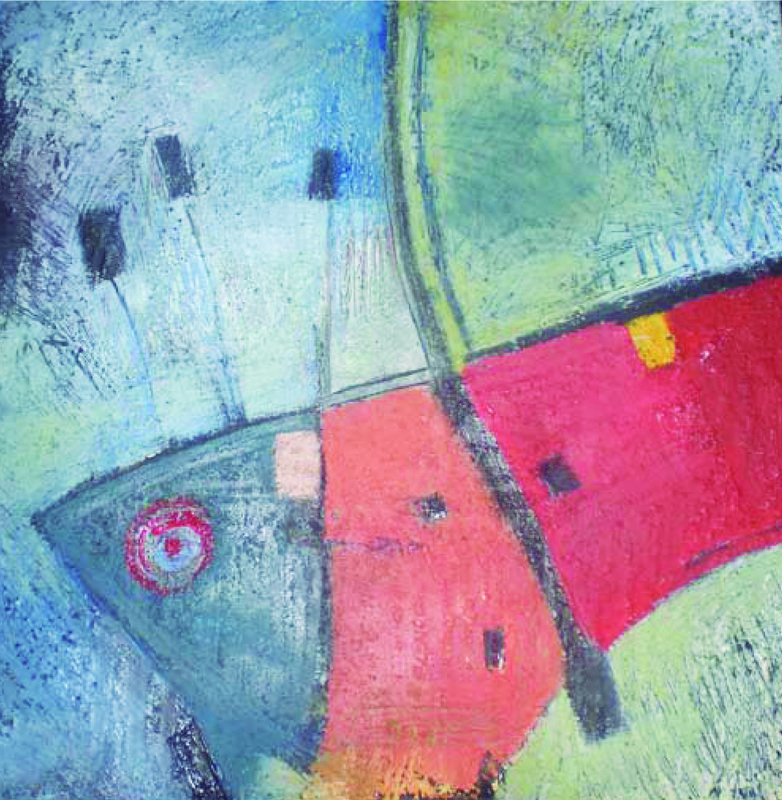 Some of his paintings that show promise in terms of technique, balance and composition include Magalie, 2009, mixed media; No fundo do mar, 2011, mixed media; Danca contemporanea, 2011, mixed media; Bairro dos Pescadores, 2011, mixed media; Vivencias, 2013, mixed media; Celebrando o pescado, 2013, mixed media; A busca do liquid precioso, 2013, mixed media and Novo dia, esperanca revitalizada, 2013, mixed media. 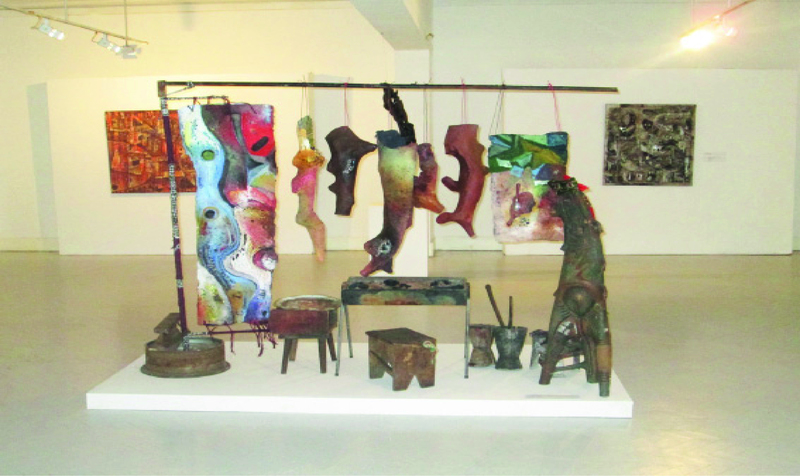 More can be said about Titos Pelembe’s artworks, but the best way to experience his unique approach to the art-making process, is to view the wonderful work displayed in the exhibition ”Trilho dos Sonhos”. Congratulations Titos! I believe that the trail you are following will lead to the realisation of your dreams or goals. I am inviting all of you to dream along with Titos Pelembe. 2012 Degree at the Higher Institute for Arts and Culture (ISArC), Maputo. 2010 Under graduate course in Ceramics and Pedagogical Training at the National School for Visual Arts (ENAV), Maputo, Mozambique. 2014 Trilho dos Sonhos, Maputo. 2014 Creative Block - Gallery of Kulungwana - Maputo. 2013 Telecommunication of Mozambique Biennial, National Museum of Art, Maputo. 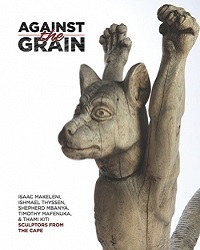 2012 Collective exhibition ” Line in form – form in line” , Gallery of Kulungwana - Maputo. 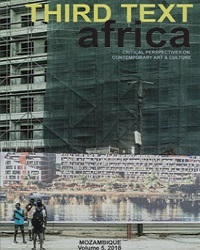 2012 ZIMOKAD, Cultural Art Dialogue Mozambique and Zimbabwe, National School for Visual Arts and Cultural Centre Franco Mozambicano, Maputo. 2012 Sasol Temane sculpture Site, Maputo. 2011 Telecommunication of Mozambique Biennial, National Museum of Art, Maputo. 2011 Design and Production of trophies, Ministry of Civil Service, Maputo. 2011 Collective exhibition Creative Block, Finland. 2009 Telecommunication of Mozambique Biennial, National Museum of Art, Maputo. 2008 National Museum of Art, Maputo. 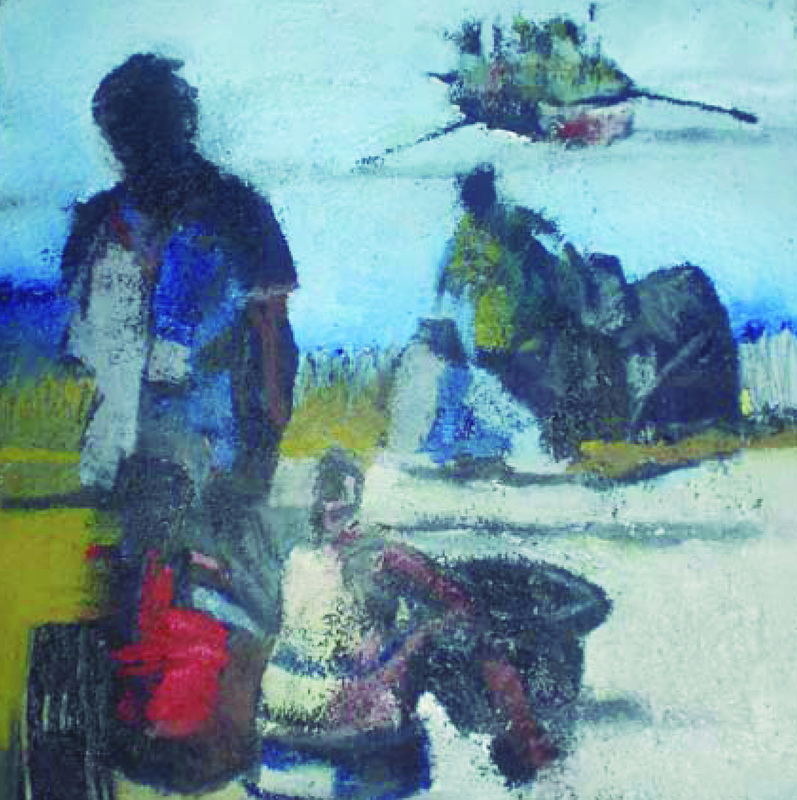 2011 2nd prize, Telecommunication of Mozambique Biennial, National Museum of Art, Maputo. 2009 3rd prize, Telecommunication of Mozambique Biennial, National Museum of Art, Maputo. 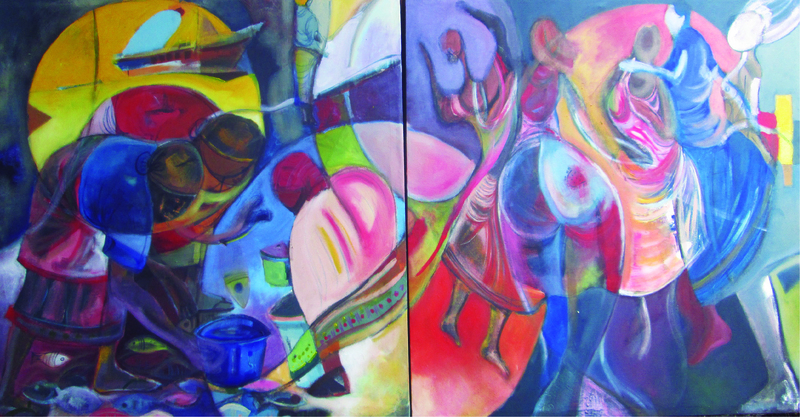 2009 Honourable mention, in Painting FUNDAC Malangatana award. 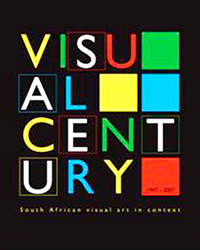 2008 1st prize, sculpture Fund for cultural and artistic development, Alberto Chissano prize. 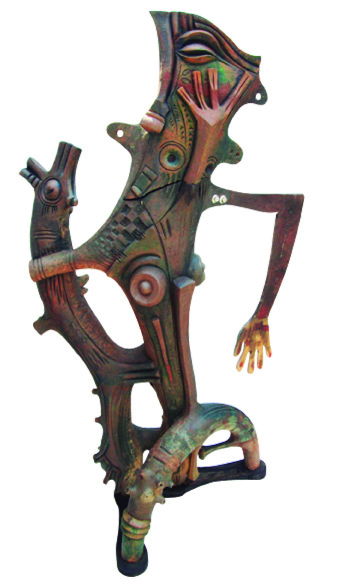 2008 2nd prize, sculpture, National Museum of Art, Maputo. 2007 3rd prize, Cartoons Instituto Camões - Maputo. 2007 1st prize, sculpture and Honourable mention, painting in edition of the Discovery contest. 2006 3rd prize, Cartoons, Camões Institute - Maputo. 2006 1st and 2nd prize , commemorating the 5th anniversary of the Cultural Centre of the Mozambican Bank. 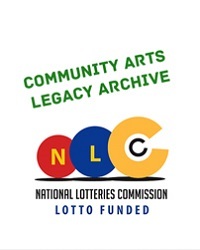 2006 Honourable mention, sculpture, Fund for cultural and artistic development. 2006 2nd prize, UNESCO Malaria poster. 2005 Honourable Mention 30th anniversary of Mozambican Bank. 2004 1st prize, Revelation Francophony Cultural Centre Mozambican Franco - Maputo.